nicknames. 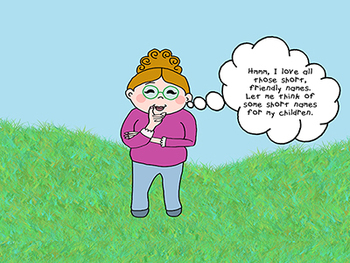 She decides to give her children nicknames as well. about each one and gives them perfect short names. 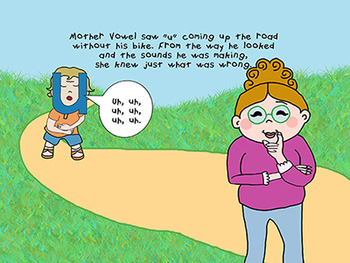 This power point lesson story is entertaining, but it also helps beginning readers learn the short sounds for all five of the vowels. The illustrations remain in students minds, so when they are reading, they will try out the long and short vowel sounds to decipher the words. 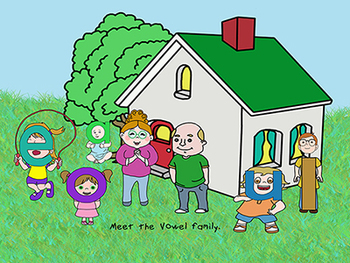 What a fun and easy way to learn short vowel sounds. 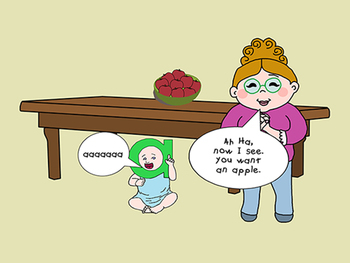 The lesson includes games students may play using the short vowel sounds. There are worksheets the teacher may duplicate so students can play along with the lesson, or complete following the lesson. There is a recipe for the Happiness Cookies mother vowel bakes in the story. Students can bake them in class or they may be served as a treat.